Dane Reynolds Signatur tailpad i to deler. Farge: PPR - Varierende frarger. - Post Production Recycled. 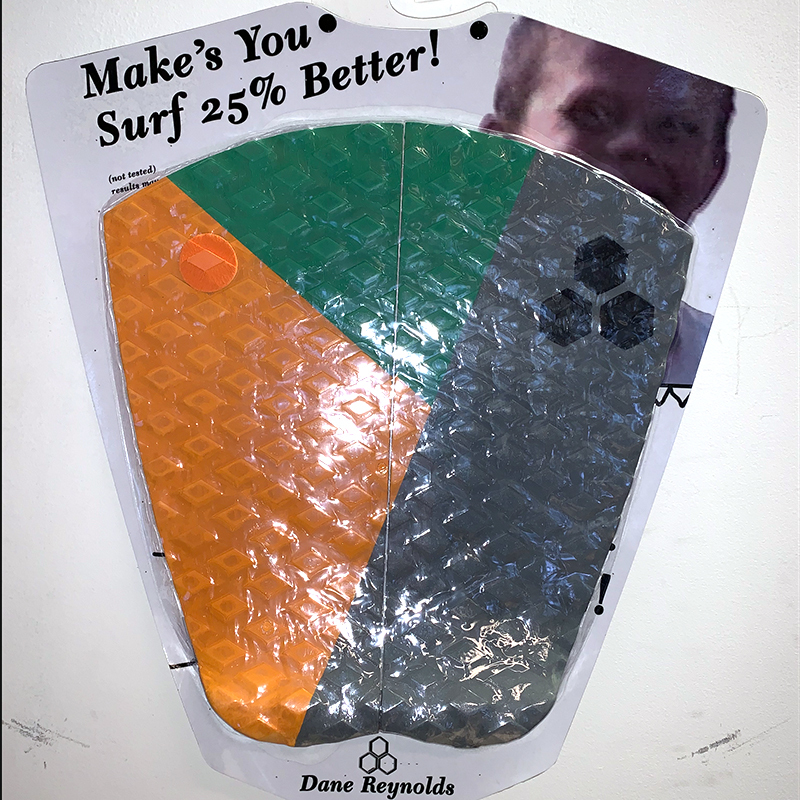 "While results may vary and there has been no wide spread testing, Dane is pretty sure this traction pad will make you surf 25% better!" The same vertical split flat pad from Dane Reynolds that we have all grown to love now in a post production recycled option. Now you can get real grippy while feeling a little better about yourself! The PPR (Post Production Recycled) pad is made from left over EVA foam that is then put back into big sheets to be re-used. Every pad is unique. Fin key suitble for FCS, Furute and Scarfini fin systems.